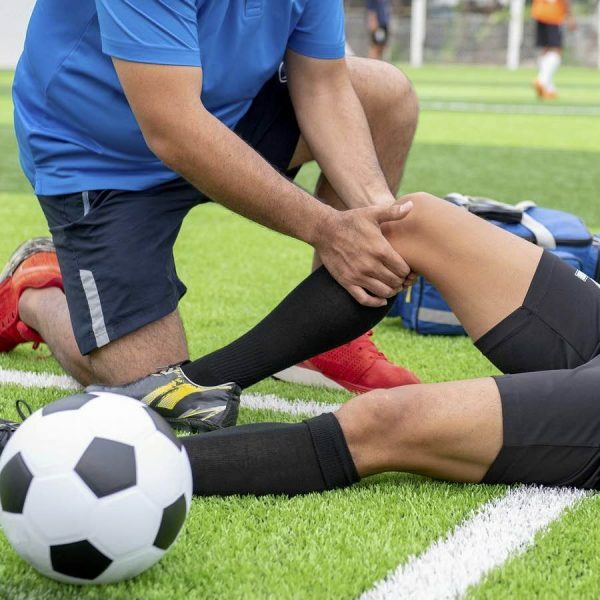 Neuromuscular training protocols that plyometrics, dynamic balance exercises, agility training, etc, can significantly improve biomechanics and neuromuscular performance and lower the risk of anterior cruciate ligament (ACL) injury in athletes. The authors undertook this study to examine the effect of 6weeks TDS Jump training on muscle reaction time after surgical reconstruction of the ACL. Seven male patients 12 to 36 months following reconstructive ACL operation continuously participated TDS Jump training at seven sets of five times (7 sets×5 times=35 jumps), 3 days/week, for 6 weeks. Premotor reaction time (PRT) of vastus medialis (VM), vastus lateralis (VL), hamstring medialis (HM), and hamstring lateralis (HL) were recorded by electromyography through the examination sudden knee eversion stress. Two physical therapists evaluated each participant’s performance ability using a talent diagnose system (TDS Jump). The PRT of all tested muscles were significantly decreased after both three and six weeks of TDS Jump training than at before training (p<.05). Grounding time (TDS Jump) of operated legs was significantly decreased after both three and six weeks of TDS Jump training than prior to training (p<.05). The authors concluded that the study showed in the present that TDS Jump training could improve PRT and grounding time in operated legs. Therefore, it suggested that TDS Jump training applying in not only an assessment of the neuromuscular function after reconstructive ACL operation but training and rehabilitation as well.